On the first official day of fall, San Francisco will also have a new public service announcement. Wednesday Sept. 22 will be the City's first official "Please Don't Jump Day," which is meant to raise awarness about suicide prevention. Supervisor David Campos introduced a resolution to support the group 1-800-SUICIDE, who is behind the campaign. The move is symbolic, if nothing else, since the City is home to one of the most well-known suicide locations in the world and local band Third Eye Blindhas written the well-known anti-suicide antheme, "Jumper." 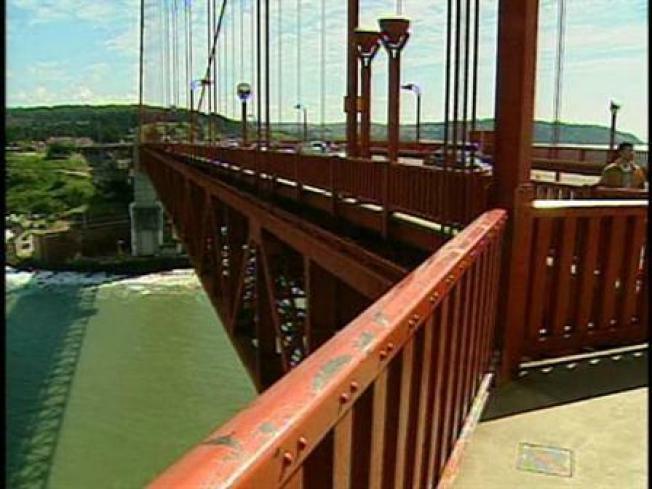 More than 1,300 people have ended their lives by jumping off the iconic Golden Gate Bridge, according to the San Francisco Examiner. There were 31 confirmed suicides from the bridge last year alone. Meanwhile bridge officials and the City are working on erecting a controversial suicide barrier.